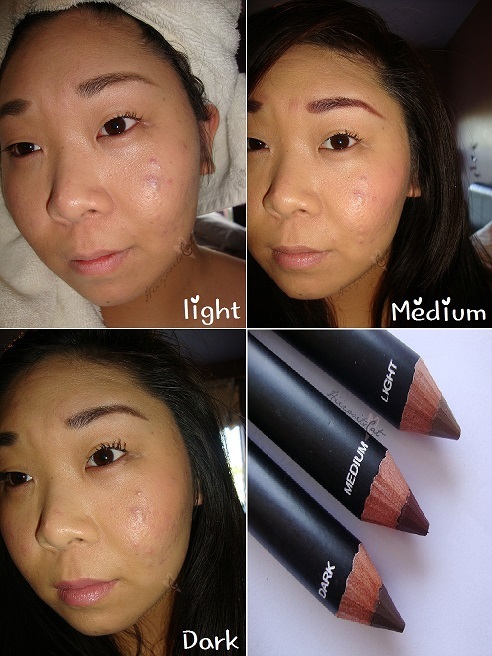 Claims: "Create polished and defined brows for a flawless fuller look! The 'lift' pencil's sheer light-reflecting pigments act as an arch support under the brows to enhance and outline the shape for a more youthful and awakened look. While the 'fill' pencil shades in the eyebrow to blend in the natural shape, fill in any sparse areas and define the lines." Need a fill and lift? I am talking about your eyebrows ladies! Everyone needs a good eyebrow pencil and what's better than a two in one! Well let me give you my thoughts on E.L.F's Studio brow lift and fill. This brow pencil is $3 and comes from elf's studio line. 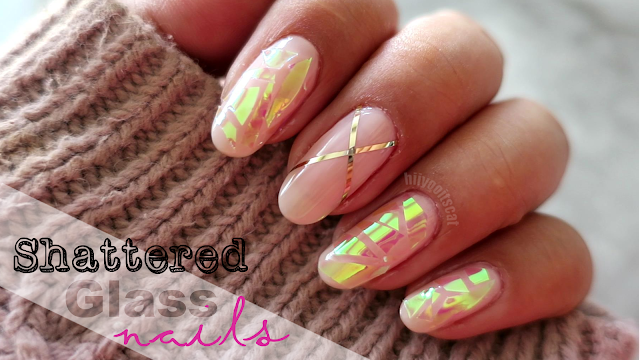 They offer three different shades which are light, medium and dark. Each one comes with the filler on one end and the ivory shade on the other. It also comes with a very convenient sharpener attached to the pencil. The width of the pencil medium.. thicker than a regular liner but a little thinner than the NYX jumbo pencils. Although the browns differ in color the lifter (Ivory) is the same on all three shades. The labels are towards the tips of the brow pencil but when you begin to sharpen it, you are sharpening off the name as well. No worries though! You can clearly tell which color is with without the labels. I have to say the sharpener takes a bit getting use to. It does sharpen the pencil but I feel like I have to put a little more effort than I should when sharpening. 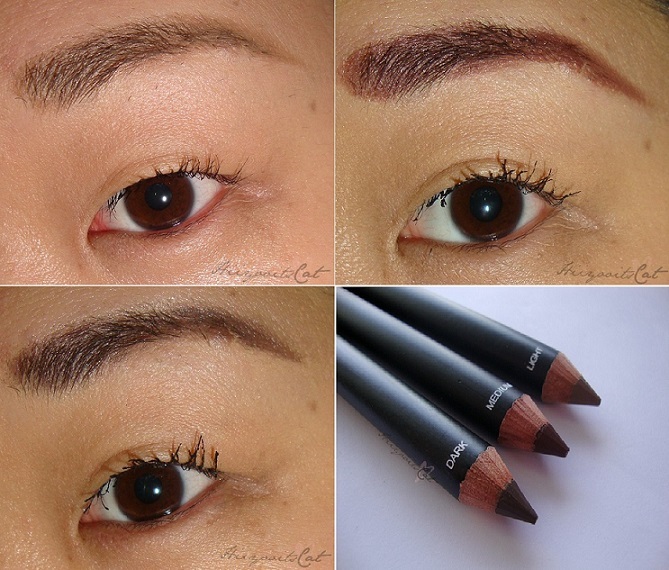 These brow pencils are really creamy and goes on quite easily. I would have to say a bit too creamy but seems to be just fine when set with powder and lasts pretty much the whole day. The ivory side also goes on and blends out smoothly to help lift and clean up the brows. I also like to use it on my water line and tear ducts. I like switching up my brows between the light and the dark pencil. I really enjoy using this product. I can apply it with a light hand and brush it out for a very natural look. I have medium to dark brown hair and the light is perfect for me. I like to use the dark for a more bold look sometimes. I personally stay away from the medium because of the red undertone but it is great for girls with red undertones in their hair. I do think that they should have a shade lighter than light for blonds because the light is more for light brunettes not blonds. Don't forget the price! It's worth a try for $3 but like I said it's more of a creamy brow pencil with little wax, I strongly suggest setting with some sort of powder. Overall, I would definitely repurchase this product unless I find something else that is just as affordable and works great. So let's hear it readers, what's your go to brow product? I would love to know so I can try them out! Do you prefer pencil? gel? shadow? I like to use a brow gel to set my brows as well! A friend of mine recently bought a bunch of elf stuff and is giving me some brow products that she said don't work for her. I am hoping they include these!!! I bought one of these pencils a few months ago, but I found it too creamy and too dark... maybe I need a lighter shade... but still, being creamy gives me less control when applying it. ooh which color did you get? I think they should add lighter shades. It is really too creamy but I like how easy it glides on.